Animals in the United Kingdom (UK) are used for testing purposes but only within strict parameters and regulations. Their use is monitored both within the laboratory by qualified animal technicians and also by outside government monitoring personnel. Monitoring goes hand-in-hand with regulations for the use of animals in testing because it ensures that the laws are not simply there as a guideline but that they are consistently enforced, which serves to protect the animals used for testing as well as the industry researchers who perform the testing. The Animals Act - or Scientific Procedures Act - was passed in 1986 and applies to animal testing in the UK. It enforces the premise that an experiment must be governed by three different licenses. The first is a project license for the head researcher who oversees the experimentation. This license will provide the specifics of how many animals will be used as well as which types of animals are to be used in the experiment. It also details the experiment itself and its aims. The second license involves certification for the agency, which serves to confirm that it has appropriate facilities and that it is sufficiently staffed to handle the experiment and the animal testing. The third license is a personal license for every single researcher or technician who will be involved in fulfilling the procedural requirements. The Home Office is responsible for considering an application for an animal testing license. To do so, an investigator representing the company in question must show that the potential negative effects on the animals are lower in comparison with the perceived benefit from the experiment. The Home Office only grants a license if the benefit outweighs the potential negative effects to the animal. The Home Office will also not grant a license for animal use if there is another alternative that can quite effectively satisfy the experimental aims. Experiments are required to use the absolute minimum number of animals necessary to effectively conduct the research. 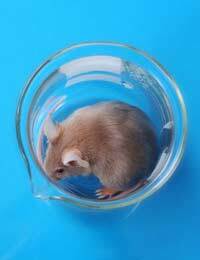 Researchers must also use those animals that have the smallest level of sensitivity to pain and experiments must also minimise the level of pain that can occur. This may mean using pain relievers or anaesthetic where necessary to reduce suffering and distress. All of these aspects are weighed when considering the granting of a project license. In fact, the UK is the only country that assesses every single license application with a high level of scrutiny while also conducting a cost-benefit analysis. In addition, trained and qualified inspectors monitor animal testing facilities both on-site and off-site to ensure compliance with UK laws. Animal technicians perform regular checks on animals to determine that they are receiving the best care possible and that they are being treated in accordance with the requirements of the project license granted by the Home Office. Animal technicians are generally highly qualified and receive extensive training; they must pass exams to verify their knowledge of animal care and their ability to care for animals throughout an experiment. Because laboratory animals receive special foods and also require regular cleaning and sterilising of their cages, laboratory technicians must be qualified and competent to keep animals healthy and relatively pain-free to the best of their ability. The technicians are also a key point of contact for government hired inspectors who monitor that the animals are being properly cared for and that they are receiving adequate food, housing and cleaning. Technicians also ensure that animals are being handled as they should as well as detecting when they are in distress or pain. Government officials monitor animal testing facilities through random and unannounced checks on the facility. They ascertain the level of care the animals receive, which includes how they are housed and fed as well as their hygiene and the record keeping associated with the animals. A company who does not follow regulations may have its license suspended for a set period of time, indefinitely or it may permanently lose its license for particularly disgraceful treatment and abuse of animals - more so if the organisation repeatedly does not abide by the laws in place. The use of animal testing must have laws, regulations and consistent monitoring to ensure that companies follow protocol and that animal suffering is minimised to the greatest extent possible. While few organisations break these laws and commit offences, they do unfortunately taint the image of those who ethically and humanely conduct animal testing. Continued improvement of existing laws and maintenance of monitoring are vital, however, to keep Britain's animal testing industry an ethical and effective one.